Birth is the spark of life that occurs at the beginning of life. Birth is the first moment of life. Everything in Proof of Afterlife by Birth deals with the mathematical change in life that occurs at conception. Conception is the precise moment in time when a cell becomes imbued with life and begins to grow. It is not important how this happens. It is only important to note that it does happen. Put yourself in place of the person in the illustration. Here we are in life, located in between birth and death, on a time line. From our position, between birth and death, we can see the output side of birth and we can see the input side of death. What we cannot see is the output side of death. This lies outside our view. From our perspective between birth and death we cannot see this. 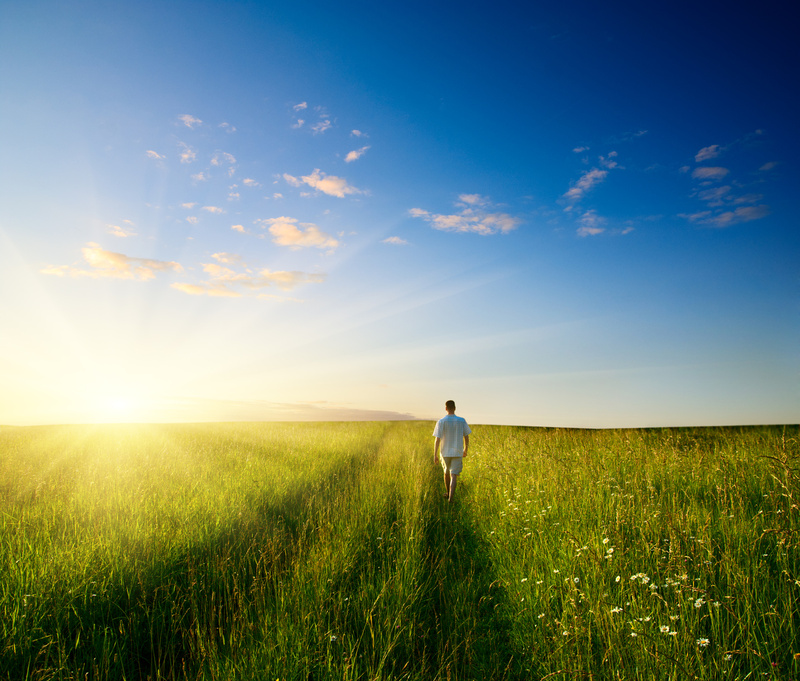 Our problem is determining what lies on the other side of death. The problem becomes solvable if we make the assumption that birth and death are the same function viewed from different sides. Birth and death are not separate and distinct functions as they appear. They appear to be separate and distinct because of our point of view. Birth and death are the same function. It happens twice during our lifetime. The first time we come out of birth. The second time we go in to birth. When you make the assumption that birth and death are the same function, solving for the other side of death becomes possible. Before taking on the discussion of afterlife understand what I mean by birth. Do not get the concept of birth confused with the concept of being born. For this discussion I am not talking about childbirth. I am talking about the spark of life that occurs at the beginning of life. I am talking about the moment of conception – the exact moment in time when life begins. For the duration of this discussion, we are not referring to in any way, to child birth nine months after conception. We are taking about birth, the moment in time when life begins. It is critically important to differentiate between birth and conception. Within this context we are talking about conception. I want to step away from the physical being and think about just life. I am not talking about the manifestation of life. I am talking about life itself. At conception there is a change in life that takes place. This change is from not having life to having life. A moment before this change there was no life. The moment after this change there is life. This change took place in a single moment in time as shown below. You cannot see a point. You cannot measure a point. A point has no dimension. Yet it exists. It has position. A point exists at a location in the universe. It exists within space. You cannot measure life because it has no dimension. Yet, life exists. 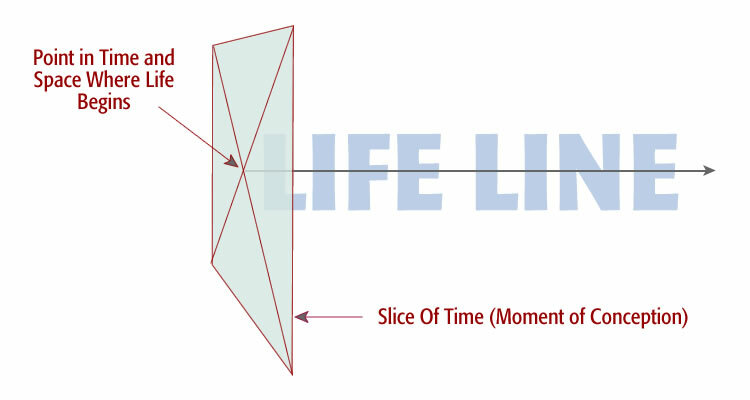 Life has position in both space and time. Life has a point of view, from a specific location, within time and space. There is a specific set of coordinates that locates a life. There is a specific location in space and there is a specific location in time. The properties of a geometric point and life are identical. Their properties of having existence, position, and no dimension are the same. Look at the diagram of the beginning of life below. Look at the spark of life – the specific point in time and space where life begins. Before that moment, at the left side of the plane, there was no life. After that moment, on the right side of the plane, there is life. Life can be traced back to one point in time and space where our life began. 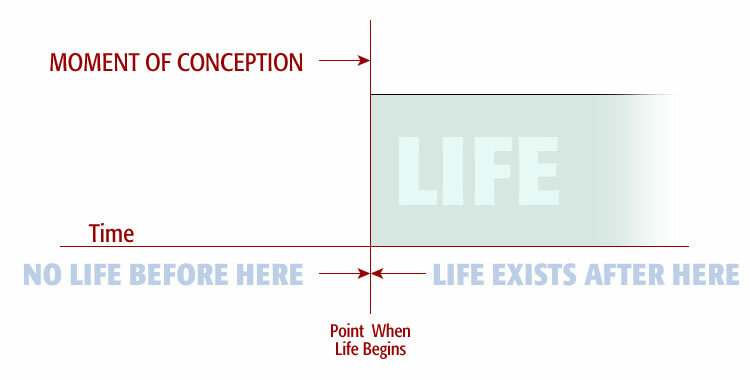 Looking at conception in geometric terms, life exists at a point within time and space. This geometry sets the stage for the section that follows.